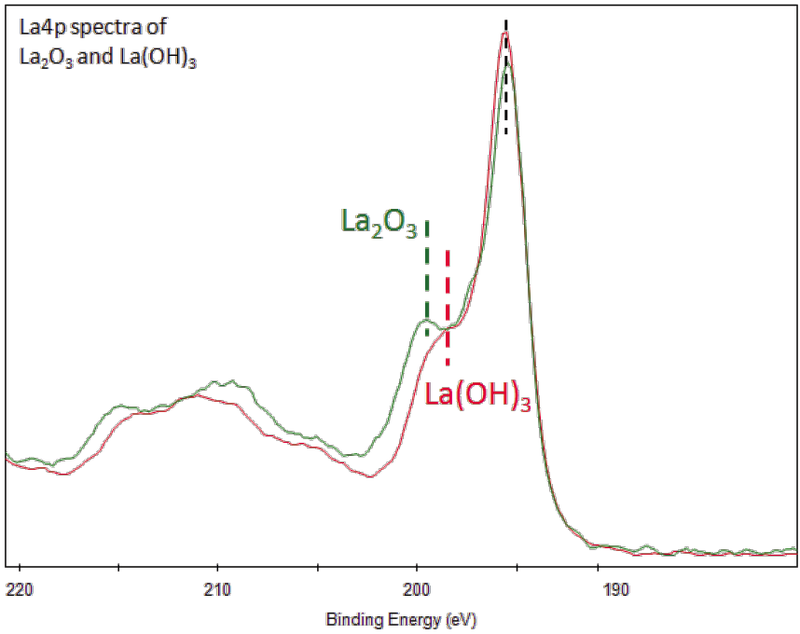 La3d is the primary XPS region, but La4p and La4d regions can help assign chemistry of lanthanum compounds. La3d region has well separated spin-orbit components. Each spin-orbit component is further split by multiplet splitting. 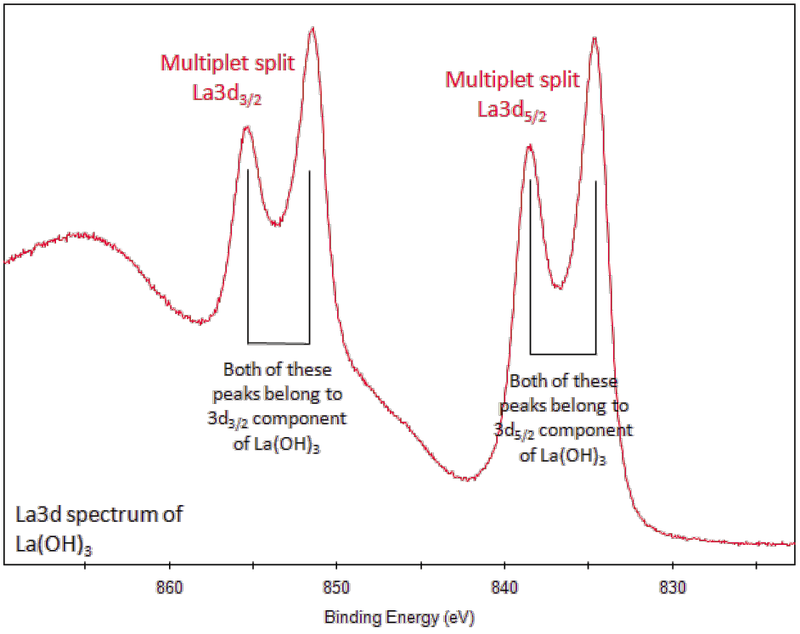 The La3d spectrum from a pure La(OH)3 sample, for example, will have four visible components, even though there is only one chemical state. The magnitude of the multiplet splitting and intensity ratio of each multiplet-split component are chemically diagnostic. • Inspection of the La4p region can also help assign chemistry, e.g. differentiating between La2O3 and La(OH)3. 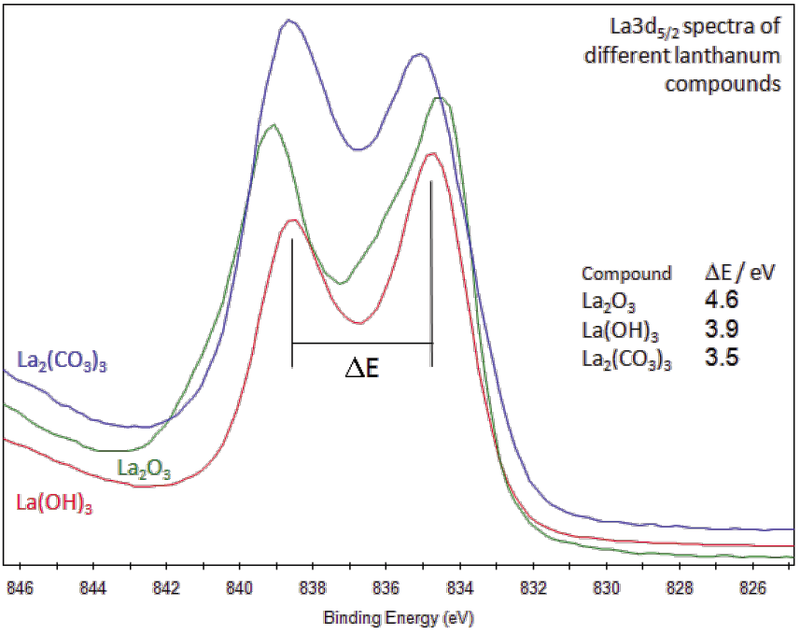 • La2O3 has an unusually low O1s binding energy of ~528.6eV. Metal oxides more typically appear at 530eV. 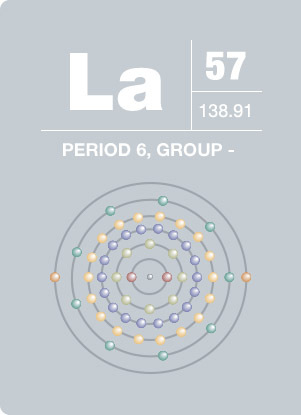 La is highly reactive so La is usually found in an oxidized state. La compounds may hydrolyze and / or react with CO2 to form surface carbonates. This element is so soft that it can be cut by a knife. Lanthanum has an important role in the motion picture industry because it is used in studio lighting and projection. It is also used to make infrared absorbing glass, and is used in the lenses of cameras and telescopes. Adding small amounts of lanthanum to steel improves steel’s malleability and adding it to molybdenum decreases the molybdenum’s hardness and sensitivity to temperature variation. While lanthanum has no known biological role, lanthanum chloride has anticoagulant properties. Injecting lanthanum solutions in animals causes glycohemia, low blood pressure, degeneration of the spleen, and hepatic alterations.